Arusha National Park and Plains,Ndarakwai Private Ranch,Tarangire National Park,North Pare and South Pare Mountains, the East and the West Usambara Mountains and an optional extension to Pemba Island for the Pemba endemics…We will visit the Unique destinations of the Usambara mountains and Ndarakwai private ranch Among others. The Usambaras are e a treasure house of botanical and zoological and Ornithological diversity, with a huge number of endemic tree and plant species and the Birds of course… Although large tracts of the original forests have been leveled for tea planting, enough of the original wilderness remains to make this a hiking, birding and primate-spotting paradise. Ndarakwai private Ranch on the Western slopes of Mt Kilimanjaro is a privately owned ranch which is an experiment in its self-sustaining conservation, preserving a variety of habitats that are home to over 65 mammal species, and 350 bird species . Ndarakwai is part of the Amboseli / Ngasurai Basin eco-system and helps to preserve important seasonal elephant routes. Many species are permanent residents, while others use Ndarakwai seasonnaly,depening on time of year visited this is the best site for viewing both peaks of Mt Meru and Kilimanjaro at the same time,not to metion the Night game drives…. THIS TOUR DEPARTS ANY TIME ( Except Each April )DEPENDING ON AVAILABILITY OF GUIDES AND ACCOMMODATIONS, PLEASE ENQUIRE AVAILABILITY WITH A MINIMUM OF two ( 2 ) PERSONS DEPARTING. 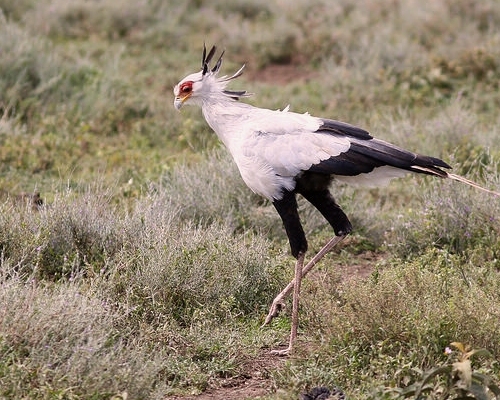 Day 2:Birding,big game viwing and night game drive on the Ranch. 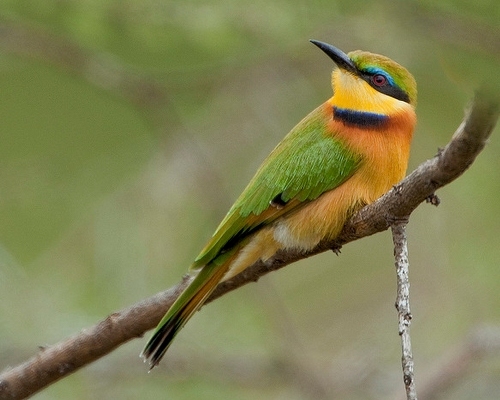 Day 3: Visit Arusha National park, birding & big game viewing .Evening return to Arusha for over night. Day 4: Visit the lark plains North of Arusha and after the excitement on the plains, we will drive to Tarangire National Park. Over night. Day 6:Return to Arusha, arriving in late afternoon. Over night. Day 7: Drive to the North Pare mountains, birding for dry country specialties, over night at South Pare mountains. Day 8: Morning birding the South Pare mountains area for dry country stuff and out of range species and on to the Usambaras. Over night . Day 9: Birding West Usambara Mountains for endemics, specialties and rarities. Day 12:Transfer to Amani in the East Usambara mountains. Birding enroute. Day 13:Birding lower forest and transfer to Upper Amani forest.over night.